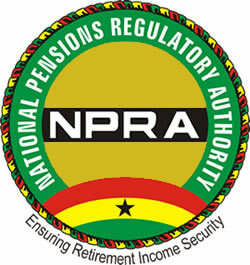 The National Pensions Regulatory Authority (NPRA) has warned it will sanction employers who fail to pay social security contributions. Referring to the worrying number of employers and companies who have failed to pay their mandatory social security contributions, the authority said, it will enforce the law if only to ensure compliance. The Northern Regional Zonal Manager of NPRA Mr. Yakubu Alhassan Fuseini was speaking to Zaa News on the sidelines of a sensitization workshop organized by Enterprise Trustees, the leading private pension administrators in Ghana. The workshop was to sensitize its clients on the need to properly plan for their retirement and also account to them how their funds are being managed. Mr. Fuseini reminded employers to regularly pay social security contribution of their employees even when salaries are not paid as the law stipulates. The head of Finance and Compliance at Enterprise Trustees, Mr. Yaw Kusi-Acheampong underscored that in retirement needs are enormous, but the amount SSNT pays to retirees a month is woefully inadequate. He therefore urged the general public to take serious steps to prepare for the future.